Sitting on the Golfe de Sainte-Tropez, the medieval town of Saint-Tropez is a jewel on the Mediterranean. As one of the most popular destinations on the Côte d’Azur, it stands out for its sparkling blue water, flashy sports cars and enormous yachts that fill the bay. This small town, with a population of only 5,542 is often overrun with the rich and famous. Its small terraced cafés are often filled with tourists hoping to get a glimpse of the many celebrities who enjoy the area, often flown in on helicopter to enjoy the lively night life or stay in the luxurious villas overlooking the bay. 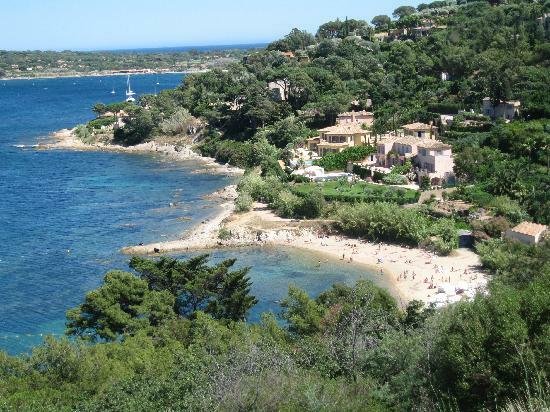 Located right on the sea between Hyeres and Sainte-Maxime, which sits just across the bay only 14km away, Saint-Tropez is accessible by bus or car. By plane, one can arrive at the Toulon-Hyeres airport which connects with the rest Europe or Nice’s international airport with flights from around the world. Shuttles to Sainte-Tropez are available from both airports. By train one can arrive in Toulon or Saint Raphaël and then take a bus on to Saint-Tropez. Once arrived, it is easy to get around by foot or by bicycle, which one can rent in town. 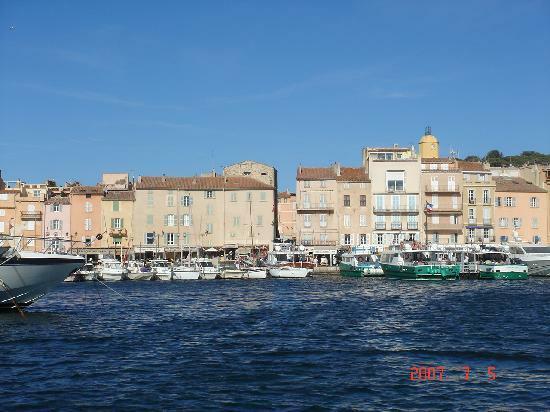 Ferry boats can take you across the bay to Sainte-Maxime. The town is often crowded, but it is said that May, June and September are not as busy, and are the best months to visit for those who want a quieter stay. Legend says that Saint-Tropez is named for its patron, Saint Torpé, who was born in Pisa and worked in Rome as one of Nero’s centurions. Discovered to be a Christian, in 68 AD he was martyred for his faith, beheaded in Rome and then placed in a boat with a dog and a rooster, who were supposed top devour his remains. The boat was set adrift, and it is said to have arrived with the Saint’s body intact in what is now called the Golfe de Saint-Tropez. History, on the other hand, shows that both Greek and Roman ships often passed by the area, as proven by the wrecks that were discovered nearby. It was in the Middle Ages that the town was truly established. From 1470-1672, Saint-Tropez enjoyed the status of an independent republic, run by elected citizens and captains of the guilds. During this time the Genoise family was particularly influential, responsible for the rebuilding of the town after it was destroyed during the wars between Louis II d’Anjou and Charles de Duras and the many invasions of the Saracen during the 14th century. The elected captains could raise a standing army, which was kept busy fighting off the frequent attacks of the Turks, Dukes of Savoy and the Spanish galleons in the 16th and 17th centuries. Until the 18th century, the independent town was exempt from paying taxes to the French monarchy, but Louis XIV changed that, taking direct control of Saint-Tropez. At the end of the 19th century Saint-Tropez was primarily a fishing and port town when artist began to come to there after it was discovered by the painter Paul Signac while sailing on his yacht in 1892. Many other artists followed, attracted by the spectacular light, and by the 1920s the city was also filled with international fashion celebrities. After World War II, the French existentialists came from Paris to summer in Saint-Tropez, followed by the Bohemian writers, actors, and artists in the 1950s. Picasso and Francoise Sagan were both known to summer here. In the 1960s, Brigitte Bardot made it even more popular, and since then it has been a favorite holiday place for the rich and famous from around the world. Saint-Tropez sits on a port which is filled with yachts and fishing vessels. The French Riviera is known for its amazing beaches, and while Saint-Tropez doesn’t have them in town, some beautiful beaches are not far away. To the west of town, it is only a short walk to nearby sandy beaches. South of town, a short drive will bring you to the Baie de Pompelonne where 5km of some of the best beaches in the world stretch before you. On all the beaches, there are both public and private areas. Be prepared to pay for a lounge chair and umbrella and the privilege of access to the sea. Many of the beaches have restaurants and café on the premises, and most offer the rental of equipment for windsurfing, sailing, power boats, jet bikes or water skiing. Some are known to even have fashion shows on the beach. This lively square has been the center of life in Saint-Tropez for centuries. Today you can find tourists and locals alike buying the fresh produce, fish and flowers at the market held here. It is one of the places where one can get a real feel of the town, away from the tourist industry, and understand what life in Provençe is really like. The 16th century chapel of Notre-Dame-de-l’Annonciade was abandoned during the French Revolution. It now houses an amazing art gallery that is filled with masterpieces by artists from the 1890s -1950s. Most of the works were painted locally when artists from around Europe were staying in Saint-Tropez. The collection includes works by Paul Sagen and his contemporaries that arrived in the area in the 1890s. There is also a large collection of works by artists from the 1920s, including pointillists, fauvist and the nabis period. Most of the works focus on color and light. It was artist Georges Grommont who had the chapel restored and then had it opened as an art museum in 1955. Saint-Tropez built this defensive fortress in 1589 to help keep back the continual invasions of the Turks, Dukes of Savoy and the Spanish. This walled fortress sits on la Colline de Moulins, a hill which overlooks the town, the gulf and the sea. Its central keep, or donjon, was added in 1607 and rebuilt in 1652. The fort guarded the town below for about 400 years, having even been used through both the first and second World Wars. It fact, it was considered the most important point of coastal defense between Antibes and Toulon. Visitors can tour the fort, which is in remarkably good shape and visit the museum within which opened in 1958 and covers naval history and the history of the citadel. Located in an antique house in the center of town, this Butterfly Museum has a collection of over 4,500 French butterflies collected by artist Dany Lartigue over the last ten years. The butterflies are organized by species and often placed on backgrounds showing their natural habitats that were painted by the artist himself. In the kitchen, the museum also displays photographs by the artist’s father, J. H. Lartigue, and around the house are souvenirs of the musician André Messager, the artist’s maternal grandfather. Every May, the town of Saint-Tropez holds this festival to honor their patron saint. 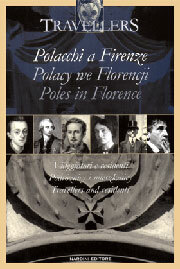 The tradition dates back to the 15th century, and is still carried out in the traditional fashion. There is a procession of the bust of the saint carried through town and protected by an honor guard while the whole town gathers to watch. This is followed by Provençial singing and dancing. It is well worth seeing if you are interested in local traditions. Ciao Claudia, grazie per il tuo interesse.Per tua info è diverso tempo che non aggiorniamo più questo sito in quanto è stata aperta la nuova versione su http://www.worldsitetravellers.com. Se ti interessa possiamo provvedere allo scambio sul sito nuovo. Che ne pensi? fammi sapere!